Situated in the Palghar district of Maharashtra, India, Bordi is a peaceful place. There are a number of places to visit in and around Bordi. If you like the beaches, Bordi might just be the place for you. Apart from that, it is known for its temples, caves and dams. It is also famous for its Chikkoo (Sapodilla) orchards. Visitors come here for simple stays and the feel of farm character. Though it does not have any luxurious resorts, the place offers small home like accommodations with beautiful surroundings. This place gives you a perfect break from the busy city life. You must definitely go and see the following places in Bordi. Kalpataru Botanical garden is 10 kms away from Bordi. It is situated in Umergaon. Kalpataru is a marine village around the botanical garden. This garden is famous for the trees that encircle the park. These trees add a great deal to the beauty of the garden and create a very fresh and refreshing environment. They are preserved by the Dahanu Municipal Authorities. Though these gardens look beautiful throughout the year, monsoon season is the best time to visit them. It is one of the biggest lakes in Bordi. The Depchari dam and reservoir is well known for its calm and serene vicinity. Lots of green trees add to the beauty of the lake. People usually go here if they wish to spend a peaceful day away from all the chaos of the city. This place gives you the perfect setting to spend a calm day with yourself or with your loved ones. The dam should be visited between the months of August to February. Known as the “beach town”, Bordi will give all the beach lovers everything they ever expected. The extraordinary beauty of nature around it ought to make you forget everything. The sweet aroma of Sapodilla orchards adds more to the favor of the place. 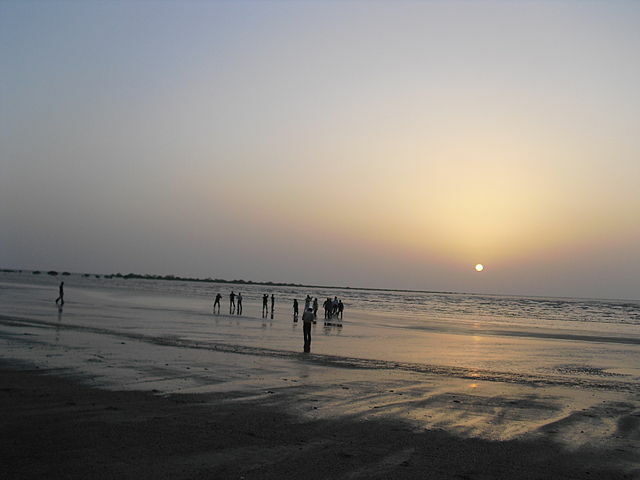 This beach is the major attraction of the city. Though it is 17 kms far from Bordi, it attracts a number of visitors from the adjacent cities. The long stretch of the beach where the water kisses the golden sand provides a good ambiance for a long stroll or laze. This again, can be visited throughout the year but its beauty intensifies during the monsoons when the trees are drenched with rain water. Bahrot caves are located 8 kms away from Bordi. According to some legends, Zarathosti elders took refuge in this cave for 13 years in 1351 AD. It is a very beautiful place to visit. A celebration is held inside the cave every year in remembrance of all those brave men who had once sacrificed their lives to keep the Iran Shah Atash Behram lively forever. Asavli dam is situated on a green lake and is encircled by mountains. It’s construction is similar to Great Pyramids of Egypt. This place is regarded as a famous picnic spot. It also has historical value. Like most of the other places of Bordi, this Dam should also be visited during the monsoon season to see its beauty at its peak. They say it is very enjoyable to splash through the rain to Asavli Dam. The best time to visit Bordi is during the winter season or the monsoon season. It does not get very cold during this time and the weather remains moderate. It is an ideal place to visit between October and March. Bordi also has many famous traditional snacks like homemade chips, praline, pickles, dry fruits and gooseberry candies. This place is a little different from the usual holiday destinations but we are quite sure you would enjoy a lot here. Bordi would leave you wanting for more.